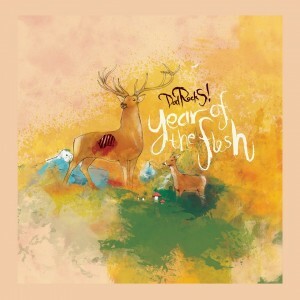 “Year of the Flesh” by Dad Rocks! The Denmark by way of Iceland bard still peppers his lyrics with contemporary references. Hearing about smartphones and Soundcloud in folk music is refreshing, though the snark can grow a bit gimmicky. Albertsson’s bass vocals are mixed lower than his baritone, presumably to remind listeners more of XTC and less of Crash Test Dummies. Dad Rocks! downplays disillusioned vulgarity in favor of upbeat chamber pop, and Year of the Flesh‘s overindulgent results turn the artist’s exclamation into a question.